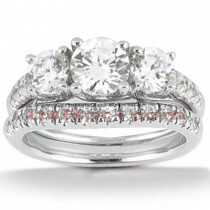 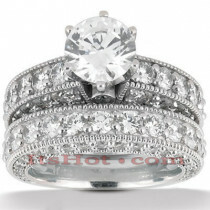 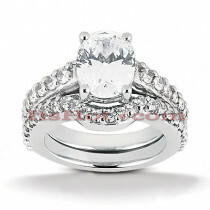 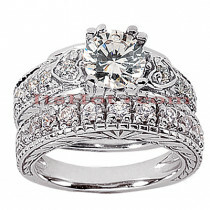 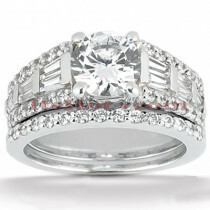 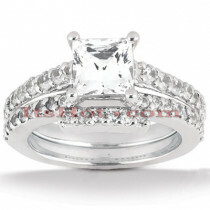 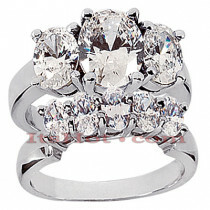 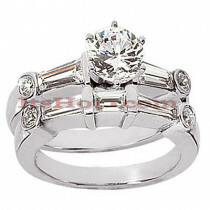 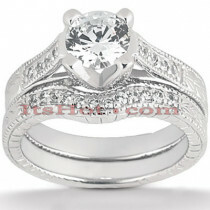 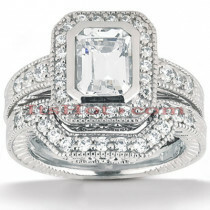 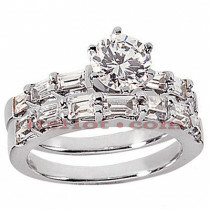 This Platinum Round Diamond Engagement Ring Set consists of a diamond engagement ring and matching band. 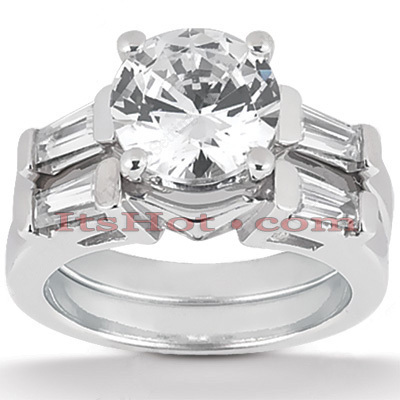 The engagement ring showcases a 1 carat round diamond in the center and 0.20 carats of baguette cut diamonds on the sides for a total of 1.20 carats of dazzling diamonds. 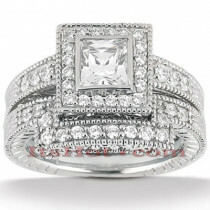 The band showcases 0.20 carats of dazzling baguette cut diamonds. 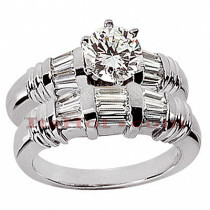 This set is available in Platinum, 18k or 14k yellow, rose, white gold, various sizes, and can be customized with any color and quality diamonds. 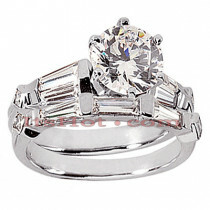 Please contact us if you would like to customize it.